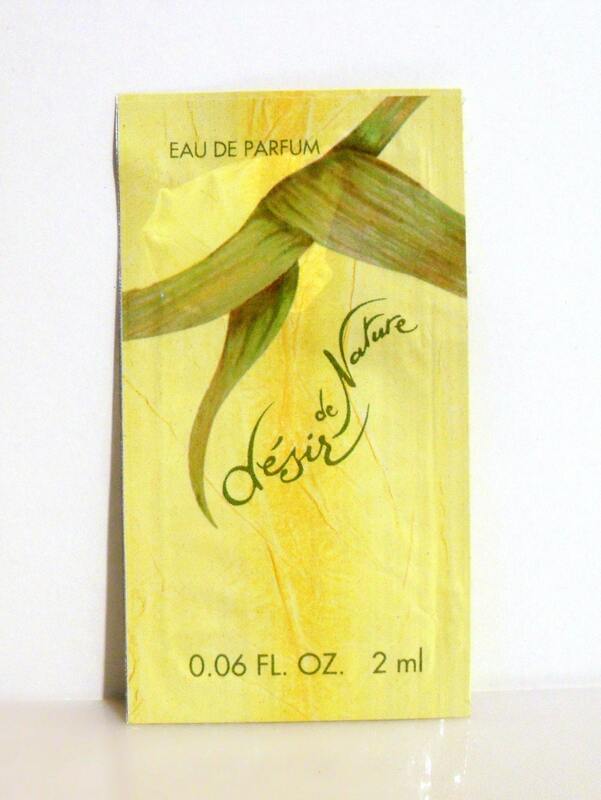 Vintage 1990s Desir de Nature by Yves Rocher 0.06 oz Eau de Parfum Splash Manufacturer's Sample Packet. The packet has never been opened. 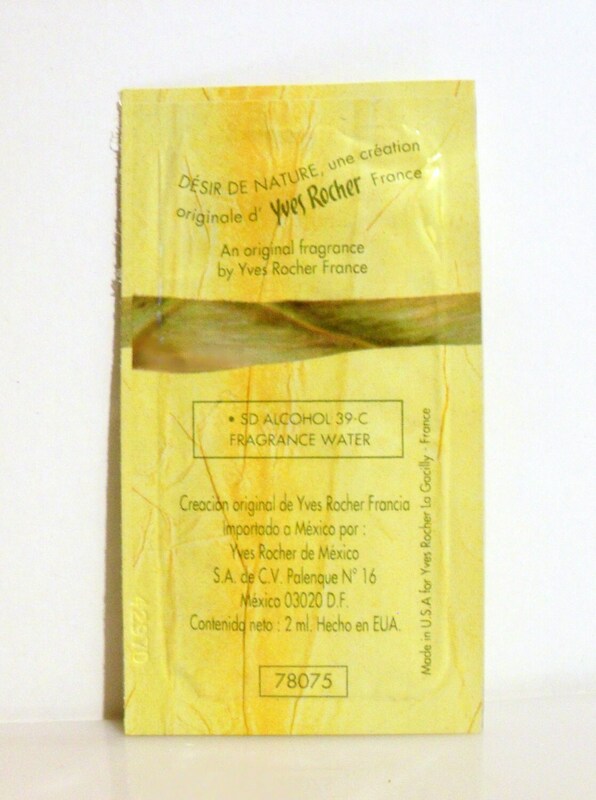 I don't feel a towelette or ampule inside, so it is just a drop or two of the fragrance contained inside the packet as I can feel liquid when I shake it.